What a line up! If you love country then be sure to head down to the live venue this Summer! As Dierks Bentley, Jon Pardi & Tenille Townes are all coming to Hollywood Casino Amphitheatre on Friday 23rd August 2019 for one special night of feel good music… Dierks Bentley never fails to give a top performance and a night that fans won't soon forget! Tickets are available to book now, but hurry – they will sell fast! Dierks Bentley hardly needs an introduction as one of the biggest stars in Country music right now! The incredible artist first kick started his career all the way back in 2003 as he made a sign to Capitol records and released his first ever album. Within just one year, he became an instant success and the record went platinum! 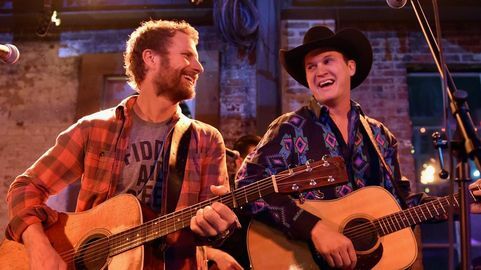 With his second release of "Modern Day Drifter", Dierks Bentley once again showcased his talent for songwriting but this time in a different light and it also reached platinum status. These two records help to put Dierks Bentley on the map and gain his ever growing and dedicated fan base that follows him throughout the years. With now a full power music catalogue under his belt, Dierks has proven he has what it takes to be a sensational, worldwide superstar. The artist has given to the world a total of nine studio records, including a greatest hit album and a bluegrass record also – showcasing that he can do just about anything! This chart topping musician has had eighteen single releases in total, thirteen of which have all made it to number one and almost all of them have reached the top five! Dierks Bentley brings all of the positivity at each and every single one of his live shows, whether it's small and intimate or a large stadium show – this time the crowd will be full of his most dedicated fans, come and be a part of the special night as he touches down at Hollywood Casino! There's no doubt in mind it's going to be yet another exciting concert for both the talented Dierks Bentley and the lucky people in the crowd!